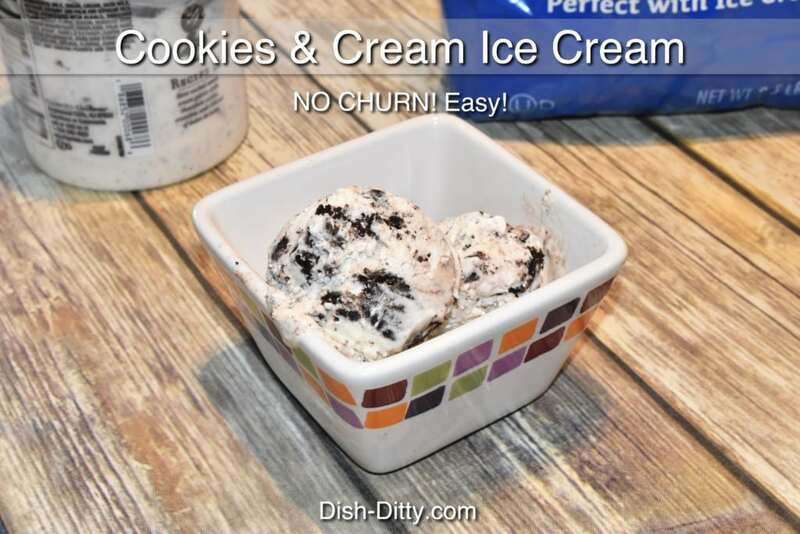 This No Churn Cookies & Cream Ice Cream is definitely not low fat or low sugar, but it is full of flavor and the easiest ice cream to make ever. I am not joking when I say easy. Just 4 simple ingredients make this fab dessert. I have been posting a lot of healthy recipes lately, but it’s now time to spoil yourself with a full fat, full sugar dessert. Might as well make it one that is easy to make while you’re at it. I don’t know what else to say except make this tonight. No really, your family will love you for it (or hate you if they are trying to lose weight). Using a mixer, whip together the heavy cream and the evaporated milk. Start on a medium speed and increase speed as the mixture starts to thicken. If you start at a high speed right away, you will just get a lot of splatter. Once you get it to a high speed without splattering, beat for about 30-90 seconds, or until the mixture is thick and can hold it's shape (stiff peaks). Add the vanilla and the crushed Oreos. 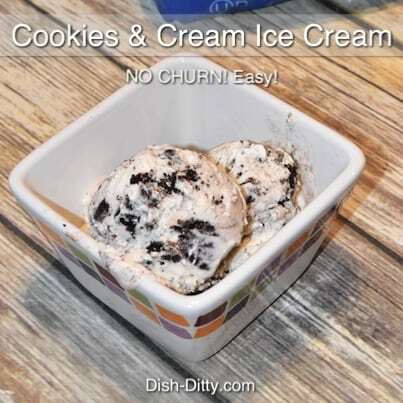 Place in freezer safe container, and freeze for at least 4 hours. 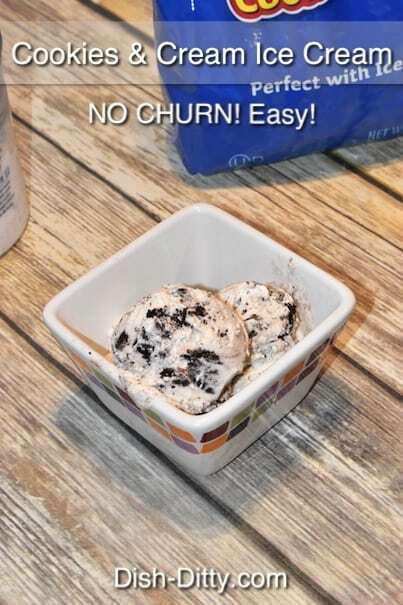 No Replies to "No Churn Cookies & Cream Ice Cream Recipe"